Our used Avondale Osprey S is shown below, for more information please contact us. 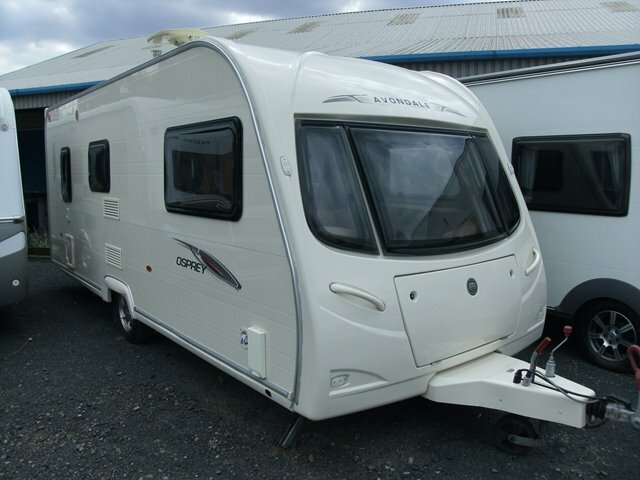 This 4 berth caravan from Avondale is in lovely condition and would be an ideal starter caravan. It features parallel bench seating to the front, a side dinette which creates a single plus fold up bunk, a large kitchen area, and an end washroom. This Osprey also comes with AL-KO ATC, alarm, microwave and fitted motor mover. For further information please contact us on 01384 413336 and ask for a member of the sales team.